Administering core vaccines to all animals before or on arrival at shelters is economically viable and is an important step in creating a positive and successful shelter environment going forward. 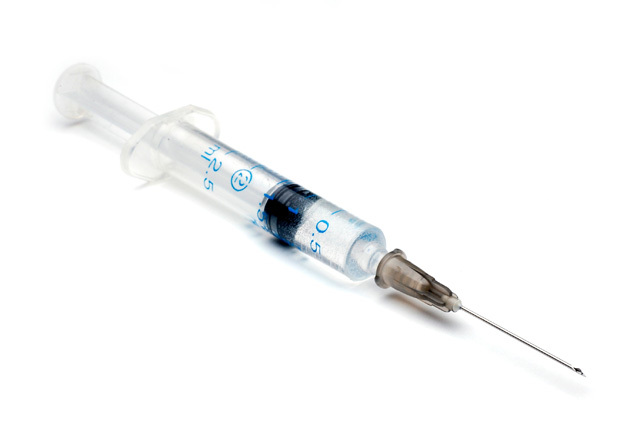 Core vaccines are vaccines that have been recommended through task forces (including the AAFP/AFM Advisory Panel on Feline Vaccines, AAHA Canine Vaccine Task Force, and the AVMA Council on Biologic and Therapeutic Agents), which include representatives from academia, private practices, governmental regulatory bodies, and industry. These vaccines are shown to significantly improve the chances of an animal forming enough immunity to fight exposure, and where the health of the pet shouldn’t be compromised by receiving the vaccine. In other words, the vaccine should be safe for the majority of the animals it’s given to. This is a subject that needs to be brought up before every animal control facility as a solution to cut the infection rate (and death rate) caused by kittens (and dogs) not receiving a core vaccine for common diseases. Most intake animals aren’t vaccinated until it’s too late. Many shelters do vaccinate on intake. Others only vaccinate the animals they believe will be adopted out. Let’s start with some sample statistics. We’ll say a high kill shelter takes in 1000 cats and kittens in one month. Only 300 are adopted out or rescued. The remaining 700 are euthanized. Yes, statistics are that high at many shelters. If each of those kittens were vaccinated on intake, then 700 of the vaccines have gone to cats who never made it out of the shelter. This is a tough call, because if the cats and kittens aren’t 100% vaccinated, a shelter may experience a severe epidemic of panleuk or parvo, which will eventually cause every kitten or puppy in a shelter under the age of four months to be euthanized. Healthy or not, those potential pets will be killed in an effort to contain the virus. Panleuk can live for a year on dry surfaces, and for many years in a wet environment. Wouldn’t an attempt to prevent an epidemic be more cost effective? The publicity created through the media, as well as word of mouth, is very damaging to a shelter. It hurts their reputation. People who adopted kittens and puppies, only to have them die two days later aren’t likely to recommend adoption from that shelter to their friends. The disease can spread to animals who come through the doors for discount spay/neuter. Animals who remain overnight before surgery or who are housed in the vicinity post-op may be given a death sentence, simply because of cross contamination at some time while at that shelter. This isn’t good for the shelter image either. Many animals are euthanized when a shelter vet deems it the “humane” thing to do. These are animals that pet owners would take for treatment and try to help through their illness. Because they’re at an overcrowded, high-kill shelter, they’re expendable. How much does euthanasia cost? Page 20 of this PDF report says $105. . This includes pick up of stray dog or cat, transport the animal to the shelter, provide food and water for the animal, euthanize the animal if not adopted, and send the body to the landfill. You have the same end result, should the animal die from one of the main diseases a core vaccine could have prevented. The cost of vaccinating every animal at intake may seem like a lot, but vaccines can be bought online for as little as $4 a dose if bought in quantity. Shelters and humane societies may get a bigger break in cost than that. Let’s compare the $4 core vaccine to the price of NOT vaccinating. An animal becomes sick with an upper respiratory infection. You have the price of antibiotics. Multiply that by many times, because the whole room, if not the entire shelter, is at risk of being infected. For those wondering how to vaccinate before arriving at the shelter, PAWS Chicago is one example of a plan in place for those who want to surrender their pet. They administer the vaccine, send the family home with the pet, to return in one to two weeks. At this time, the cat or dog is spayed/neutered and placed up for adoption. If an animal is sick and an owner wants to surrender, the owner is given medicine to get the pet well, then returns when the animal is healthy. Of course, this doesn’t work in the world where everyone says the cat or dog is a stray they’ve never seen before, and just want to dump it at the shelter. Video that goes into great detail about this process. If you have time, it’s worth watching. So why don’t shelters do this? So what made PAWS Chicago to have a change of heart in how they saw core vaccinations? In 2009, PAWS had their shelter procedures and facilities assessed by the University of Florida and Purdue University, a process that showed them just how high risk their vaccination practices were. Listed below are when the typical shelter pet is exposed to disease. These disease contact points are from the PAWS Chicago assessment, but most shelters should be about the same as far as contamination goes. As a former rescuer, this sounds accurate. Perhaps animal control officers who set live traps should attempt to vaccinate before arriving at the shelter, if at all possible. I’m not sure whether this is legal for them to do, it’s just a suggestion. Shouldn’t any organization that intakes cats and dogs be convinced to follow these guidelines? Vaccines are inexpensive. Much cheaper than treating for infection, and definitely less expensive than euthanasia. And the public image of the shelter can’t be measured in a dollar amount. No one wants to adopt from a shelter known for a higher than average amount of infectious diseases. Especially if they have pets at home that could be exposed. For those of you who want to learn exactly when a feline or canine should be vaccinated, there’s an excellent article available from UC Davis, which was updated November 2012. I won’t go into the recommended ages here, as I’ve already taken up enough space on this subject. The difficult part of this research is getting local shelters to listen to these statistics. Comments anyone? P.S. Apologies for the very long read. This entry was posted in Animal Rescue, Articles of Elisa Black-Taylor, Cat Health, Cat shelters, vaccinations and tagged cat vaccinations, The Articles of Elisa Black-Taylor by Michael Broad. Bookmark the permalink. No kill shelter will vaccinate, neuter, or treat minor illnesses unless adoption is confirmed. They consider it a waste of money when they are going to kill tomorrow. Dang Michael, that’s fast. See, if it was me, I would be lucky to pull something together in a couple of weeks. I learned something today. I didn’t know that a dog starts receiving partial immunity (or at least, less severe symptoms) for distemper at 4 hours! I have had to pick up a dog with an advanced case of distemper. It is a nasty disease and a terrible way to die. An outbreak at a shelter would be devastating. Thanks Cindy. I’ll see if I can cobble something together today. Just so you know, Dr Ellen Jefferson is at Austin Pets Alive, which is the largest No Kill shelter in the U.S. Best Friends, the largest sanctuary had a write up on this situation a few months ago. I would love to see one of you write something up on this. Now we have the lazy people that don’t want to vaccinate on intake spouting this idiotic law so they can do less work than they do now. It is a shame that the animals health and well being are not being taken into account. Well, the comments are eye catching because I seriously needed this article this morning. Because of an idiot law that we need rescinded in Texas, we have a local shelter that is arguing there is no benefit to vaccination on intake versus 3-7 days later. Thank you Elisa for the LONG article because it is much appreciated. Probably not Michael. If I wrote something it would take me too long to compose, between work, trapping and all the cats I am taking care of. It sure wouldn’t hurt if someone wanted to write about it. There are a lot of animal advocates in rescue that are wanting to see this idiotic law rescinded. Dr Ellen Jefferson of Austin Pets Alive is still fighting it. It comes down to the Texas Board of Veterinary Medical Examiners (TBVME) would rather kill thousands of more animals every year rather than relinquish the power they have to enforce every shelter having a veterinarian present at all times in a shelter. Small rural shelters have no way to pay a veterinarian to be on staff 24/7. Under its rules, the Board is requiring the same level of medical care for dogs and cats in shelters as they would receive from a vet in private practice. In other words, if they are not paid to be on staff, they would prefer the animal to get no care. I need to clarify that the correct name of the organization is Texas State Board of Veterinary Medical Examiners (TSBVME). Monty did receive his first round of vaccinations (those he was old enough for) when I initially took him to Animal Control in West Milwaukee. They also sent him home with an antibiotic, saying they thought maybe he was developing a URI. They weren’t sure. He sneezed a couple of times that first week, but I never saw snots and boogers. They were definitely proactive both with the vaccines and the antibiotics. But they kill hundreds of cats every month. I have heard stories of them denying to give cats (even kittens) to a rescue which requested them, and killing the animals instead. It is hard to reconcile the two sides of this same coin. Monty received excellent vet care there, they got him to eat, they began the process of socializing him. The vets and vet techs there were really, really excellent. They did a better job explaining how to give medicine to a very frightened cat than any other vet has done that I have taken Monty to. They seemed to really care about him. They were ecstatic when I came back for him. But they never warned me of his real odds. They said he would go to the Humane Society after a seven day hold. That’s simply not true. Very few cats leave there alive unless the person turning them in comes back for them. Why not tell me they would probably kill him? I think it’s a case of an absolutely fabulous staff at the bottom– those on the front lines working with the cats but the person in charge, at the top, believes that we have to kill all the cats we can to deal with the feral cat problem. A problem I don’t think is really much of a problem. Milwaukee has a bigger rat problem than they have cat problem. Hmmm…. I think those working with the public are not allowed to tell the truth so bluntly. This is just a guess. It could be sort of like vet techs not allowed to tell clients the truth about declawing. The workers at Animal Control were the first to discourage Monty being declawed. They were obviously against declawing. I have to give them kudos for that, as well as the excellent care they give to every cat, even though so many are doomed. Monty came out of there healthy, well fed, and a lot less wild than when he went in. Are the people in charge of shelters the right sort of people? From what I read, I am not sure they are. There is a culture of killing and a failure to grasp that nettle and turn it around. I think it’s a well researched article which is important in the context of what it’s about. It is. If cat shelters fail to vaccinate sensibly isn’t it a sign that they have given up? Or that they plan to kill those cats? I’m not talking about the meaning or conclusions of the content – I don’t know why people are complaining about Elisa’s article. It seems pretty thorough. As for the shelters – it’s hard not to feel hopeless isn’t it. Some people don’t like the truth Marc and yes it’s hard not to feel hopeless about the shelters situation in the USA. it’s hard not to feel hopeless isn’t it. Yes, It’s a good article but it tells me how hopeless the whole mess is. Shelters don’t only deliberately kill cats they are infested with disease, it seems to me. They are full of danger for a cat. How can that be? I don’t see how it can get any better while so many people still dispose of cats and kittens like unwanted possessions and while they fail to neuter them. They seem to give such ridiculous excuses to relinquish their cat, then walk away leaving him/her to their fate. I don’t understand how they live with their conscience. I suppose to many people working in rescue shelters every new cat admitted is ‘just another cat’ not an individual cat who deserves to be treated well and have the best care and live their full lifespan. I feel sorry for the genuine cat lovers who work in shelters, it must be a very traumatic and frustrating job. ‘Given up’ on providing solid health care to the cat/kitten deemed to be in their care? Or on their own policies, which may or not be worthy of the kitten/cat’s welfare? Hi Ruth aka Kattaddorra. I wonder what you can advise me regarding kittens too young to be vaccinated. I assume you do take in such kittens, but how do you protect them from possible infection in a multi-animal environment where new unknown animals arrive all the rime? The period following weaning and the first vacc is a very dangerous time for them, and gives me nightmares. The only way is to isolate them Harvey until they are old enough to vaccinate, in a well cleaned room where no other cats in the house are allowed to enter. There isn’t really any fool proof way but hopefully they also still have some protection from the antibodies in their mother’s milk. Good article overall, Elisa. Harvey, you can vaccinate a kitten as young as 3 weeks if really necessary, but I would only do so if it were an orphan and about to be exposed to other cats. Kittens will usually have immunity via mothers’ milk for at least a week or two after weaning, but it is generally accepted to vaccinate at 6 weeks plus. We have used intranasal vaccine for years, which gives almost immediate protection. We have never had a case of panluek (it is not common in the midlands or coastal areas of South Carolina for some reason) and we don’t get epidemics of URI either – for the occasional case or litter we isolate and get them on antibiotic and always manage to limit it. We aren’t a shelter, just a small rescue, but specialize in special needs and have cats with chronic URI throughout the house who came to us that way. We don’t, of course, expose incoming cats or kittens to them. For updated recommended vaccination guidelines you can consult the American Association of Feline Practitioners guidelines. Maddie’s Fund website also has a lot of info on shelter medicine/shelter vaccination guidelines. Vaccination is a minefield with different opinions from different vets and I don’t think any here would vaccinate such young kittens, but then again they don’t spay or castrate very young kittens either as in the USA. If people should be discouraged from adopting from shelters, thats against rescues too because thats where most rescues in my area get their adoptables, and pet stores are a no no because of puppy mill type situations and breeders are frowned on then where should people go to adopt a kitten or cat? Why should people be discouraged from adopting from Shelters Elisa? I’m going on what Harvey says that maybe people should use common sense and stay away from shelters. That’s really a bad way to look at it. Most responsible pet owners in my area got their cat or dog from a shelter or rescue. The rescues pull from the shelter so it’s a shelter pet just the same. If common sense keeps people away from a shelter, I’m afraid those people will start browsing the freebies for a new pet. Then they won’t spay/neuter and the unwanted litter, as well as the mama, will end up at the shelter. This will make the shelter situation much worse than it already it. Yet every time media covers a shelter having to euthanize dozens and dozens of puppies and kittens it destroys their image in the public eye. This takes forever to build back up. Some people may never forget. They’ll want to adopt, then remember their local shelter had several serious outbreaks a year or two back and decide without knowing the current statistics that it’s too risky. Shelter kittens have a reputation for contracting URI’s while at the shelter. Fosters take them in and get them well before the rescues take them and then adopt them out. With all of the rescues we did in 2010/2011, only 2 kittens came to us healthy. The rest had to be treated for URI’s You all have seen the before and after photos of our rescues. Jasper and Cupcake were the only totally healthy kittens we ever rescued. The kittens would say healthy on their info, but after being at the shelter exposed to everything, that by the time they left they were sick. We lost Shakespeare, Romeo, Juliet, Sugar Pie, Sweetie Pie and Lilo within a few days of rescue. They went to the vet the day after rescue with full blown cases of feline distemper. Everyone fussed at us for not quarantine each litter separately, but the all rode home in the same car so they were together then. To be full blown within 24 hours means they got it at the shelter. Shelters do all they can. This article I hope will convince a few to do more. I visit at The Cat Network all the time and I would take a cat home from there if Jeff would let me. But there is another shelter (supposedly no kill) near us which is very, very bad. Many of their cats are sick and they put the sick ones right in the same cage with the healthy ones. I guess you just have to go there and look around and ask questions and then decide whether to adopt from that shelter. If you don’t have another animal at home, then why not adopt from the shelter with the sickly cats? You will save a life. But I sure would hate to bring another cat home who would get Monty sick. That’s why if I ever were to bring another cat into this house I would go through The Cat Network. I trust them. Convincing my husband to let me get another cat is another matter. My master bedroom and bath can be turned into quarantine any time it’s needed. I have room for a cage and it’s quiet and comfortable. If you got one from a shelter you’d just need to keep it away from Monty for a few weeks to be sure it wasn’t sick. And make sure Monty was up to date on vaccines. Here in Nebraska, Lincoln, they are extremely careful before you enter Capitol Humane. Questionnaires, Purell, handle the pen again (if you don’t want to seem like a fool and pull your fave out of your purse, and then, WAIT! Then andonly then, are you allowed in. Absolutely. You know it. When they trust you and you can enter into “their” cats’ world (well,cages), you know that you are immune to any outside distractions! just remember to do the right thing. Keep those hands under the Purell, until Heavens will open, accept you in. Sorry, I forget my stream of thought. Ok, isolate as you well know, hopefully you have a spare room with a curtain over the french door. I have done this so many times when I had a house (Arts & Crafts bungalow). It’s easier said than done when the conditions are not perfect. Isolate anyway you can, and don’t ever take in a feline that is suffering from a UR I if you have one already suffering. That’s what I so much appreciate about our humane here. They will interrogate to the point that they won’t LET them adopt, if the individual/family doesn’t know what they are doing. I love that, Elisa. We finally ordered the vaccines and did it ourselves and that stopped the outbreaks. You can get 25 for $100 at Fosters and Smith and do it yourself. Vet is $25 per cat. I should have married a vet…I’d be rich! I see what you mean Elisa, if people stayed away from shelters and adopted elsewhere then even more cats and kittens in those shelters would be doomed to be killed for lack of homes. How heart breaking it all is! If adopting from a shelter carries a high risk of adopting an ill cat that must be another reason why a lot of shelter cats are euthanised – less people adopt – bad marketing. The starting point is becoming true no kill and then total vaccination works and becomes viable. I think it’s very important that all healthy cats in Shelters are vaccinated on admission, this is priority in our UK Cats Protection Shelters and our local Kays Hill cattery too. Adult cats taken in and also kittens as soon as they are old enough, have at least the first part of their vaccinations immediately. If they are adopted out quickly the adopter has to promise to take the cat to the vet for the second part which is already paid for and included in the adoption fee. Of course ours are no kill shelters so although it’s very wrong I can see why money strapped kill Shelters in the USA don’t feel they can use money to vaccinate cats who are probably on death row anyway. I HATE it that there ARE kill Shelters, it’s abhorrent to cat lovers that healthy animals are killed because of some ignorant or cruel person who failed to care for their cat who ended up there. I’ll say it again, education about cat welfare and the importance of neutering all cats is very lacking in the USA. An organisation like our Cats Protection who not only rescue and care for cats but educate people about them too, is desperately needed there, for many reasons including educating people as to the cruelty of declawing! Vaccinations on admission and true no kill go hand in hand. Killing shelter cats in large numbers and not automatically vaccinating also go hand hand. The former is a model of success and the latter a model of partial failure. It seems commonsense to avoid shelters as much as possible because they are a significant vector for disease. But many people assume that the hygiene there is very good simply because it should be very good given the amount of animals that go through there. But it’s not like that at all. Pet owners find that out by bitter experience. They give a long list where infection can occur, but surely it is enough to say ANYWHERE in the Shelter or Vets for that matter, plus the carrier if it has been at the Vets or shelter previously. The video is far too longwinded which muddies-up the important content. Does “but if they have ever had a vaccination” mean ” but if they have previously been vaccinated for that specific disease at some time in their life’ ? “(Note: This is true only of animals not previously immune to those diseases; for those animals, there is no period of susceptibility. )” This only adds to the confusion, because both vaccinated and unvaccinated animals were mentioned, I think. But of course you didn’t make the video. It’s a typical counter productive wind storm rather than concise effective education. Michael may want to remove the video since its more trouble than its worth it seems. What do you think Michael? Sorry I couldn’t watch it, it’s too long as our monthly internet charge is in danger of going over the limit if we watch long videos and we’d have to fork out extra payment. Is it because it is long? If you want I can link to it on YouTube instead but people don’t have to watch it. It is there as an option. But will it not be just as long on YouTube? Yes, true. For you it is not worth it. I mean if you have limits to usage of the internet you are probably right in avoiding it. Now, i will read your comment, I have two ribs crushed. And in jail, I can go for the duration, without ever once accepting the plastic-shelled tray that is handed in to you. While staring at the pubic hairs and bloodstains on the floor that you [myself] would never leave there. Do you truly want those who aren’t ‘family’ to this site actually read you? Keep it bgrief! goodness, Elisa Black Taylor. I HATE long ones as much as you do. But I had to have the evidence all listed in there. You’d feel differently if you’d lost 7 kittens to panleuk in one week and it was contracted at the shelter and you had to watch that shelter euthanize 140 kittens to get it under control. You are one of the most hard-working, responsible and articulate/intelligent free-lancers that I’ve read. Keep on, doin’ what you do, please Grrl. !!! You’re a true blue gem of a sassy sapphire! What can I say? I’ll just keep my foot firmly implanted in my mouth and my fingers glued to my keyboard. Only the pain of Furbys claws digging into my scalp as he uses me as a launching pad can rouse me from the hypnotic state I enter when I write. Caroline, this is a very serious subject that takes a little bit of explaining. It is a very useful article and if it’s too long for you, that is probably because you like to skim things. I understand that but sometimes it is useful to read and digest slowly. I can show you some of my lamer ones if you want me to dredge the bottom of the pool. The main reason I wanted to do this article is I have a lot of friends in rescue and fostering who have lost entire litters to distemper or parvo. This article is geared more to someone like that than the family here. I’m with you on not liking the length, but I’ll say it again. My articles are as long as they need to be. Most don’t need this much research. It didn’t seem too long to me. I read the whole thing. I think the Internet is destroying our attention spans. What was left of them after t.v. I tried to read “The Brothers Karamazov” again and I can’t get through it, but it was no big deal when I was 23. I think my attention span is shorter. I keep putting the book down and picking up Facebook or PoC to read short little snippets. This is very, very bad. I enjoy the internet, but I don’t like that it’s making me have a shorter attention span. As my friend Nona would say, “Look a bunny!” I just can’t focus like I used to. I think social networking can give you ADD. I KNOW I have adult adhd. Can’t concentrate on anything for long or get so wrapped up in one thing thats ALL I concentrate on. This one was long because it had to be. I wanted it to be an article readers who know their shelters lose a lot cats and dogs to parvo or panleuk could present this article with all the research already done and the information sources to back it up. You couldn’t do that one in just a few paragraphs. Not without leaving a lot of unanswered questions. But for anyone who wants the cliff notes version here it is. Definitely true. We expect to skim through everything. We do things too quickly. I believe the internet and sites like FB particularly have some bad aspects to them that we are yet to fully understand. Look at this, Elisa, Michael. Who cares about vax. Do it or don’t. If you have a young, virulent cat, pls do! If immunity, “immune system can’t handle it,” do to the rest of you idiot cat owners out there, well, then don’t. b/c you have no clue anyway. eos. This is a Catch 22 situation. If a shelter kills so many animals anyway because of failing to find sufficient homes that totally undermines the idea of vaccinating every animal on arrival, which in turn causes more problems and more deaths. It is a recipe for failure. I think shelters should (a) be genuinely no kill and then (b) vaccinations on arrival, which becomes truly viable and the shelter becomes a real success. One supports the other. I almost feel that shelters are a bit of a failure when I read this. They seem to accept failure and are too used to killing large numbers of animals.